During the second half of law school, I decided to venture outside of our building and take a few classes in the Public Administration program. I met some wonderful people, great professors, and was able to explore new ideas and approaches to looking at public issues. In one of my classes with Adjunct Professor Jim Scott, I read a book called Triumph of the City, where I explored the structure of a city and what it provides for society. At the same time, I was doing some research about micro-lending with one of my manager’s at MARC, so the idea of investing in human capital really jumped out at me. Here is an excerpt from my 2011 paper on community development ideas (which overall focused on what tools could be used in Kansas City). This section of the paper revolves around Glaeser’s Triumph of the City, and what ideas I derived from reading the book. Enjoy! In his book Triumph of the City, Edward Glaeser argues that the city is the optimal structure for human interaction because it promotes human relations, innovation, and the necessary investment in human capital to make society thrive. He argues that cities are healthier and more environmentally friendly than living in suburban or rural communities. Even for cities that have suffered economic hardship, Glaeser holds strong to the idea that the people of a struggling city have a better chance of success than those living outside of cities, because cities foster creative thinking, communication, and investment in human capital. Ultimately, human capital is an essential factor for maintaining a successful community. 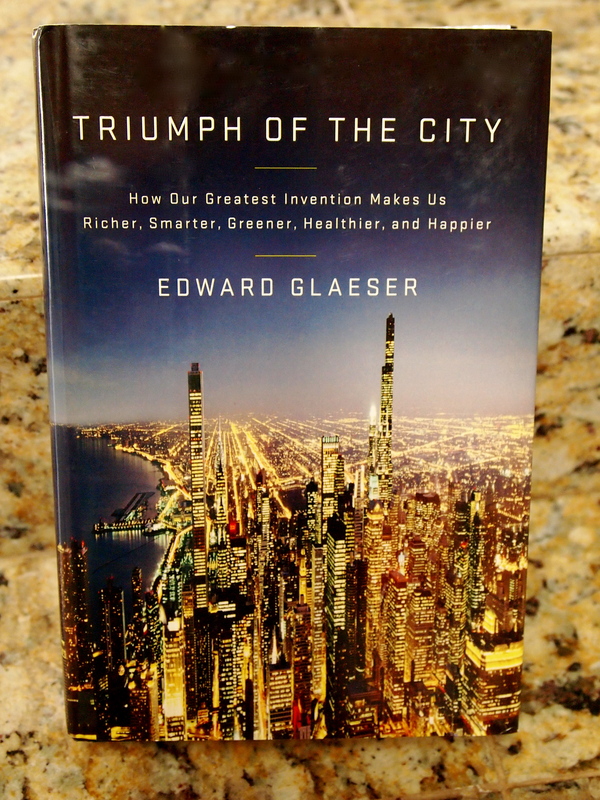 Glaeser’s primary argument in this book is that the most important investment you can make for a city is in education and innovation, which ties in with his idea that investment in human capital allows the people within the community to be more productive, make more money, and even be happier than those living elsewhere. Using New York as an example of the archetypal city, he shows how the cluster of human capital helped the city remain successful through several different turnovers of the primary industry. From transportation and shipping in the 1800s, to the garment industry in the 1900s, and then the breakthrough of financial entrepreneurs in the 1970s, New York has remained a successful city through constant innovative thinking and implementation of new ideas. We also see the same example of metropolitan success through the education and ideas in Bangalore, the technology of Silicon Valley, the thinkers of Athens, and the collection of scholars in Baghdad. Cities foster face-to-face interaction, which helps create an efficient means of relaying ideas and other communications by allowing people to explain things to each other in person, rather than over countless e-interactions that inevitably result in misunderstanding and miscommunication. With multiplicity of cultures mixed together within the bounds of a city, this face-to-face communication is also important to respecting each other’s customs and traditions. One city that did not succeed the way most cities do is Detroit, but Glaeser urges that Detroit’s decline resulted from a single-industry focus and the lack of investment in human capital. With a struggling auto industry, the city was doomed to decline because its leaders failed to attract new minds and innovative ideas the way New York had done in the 1970s. As a city filled with less-skilled workers focused within a single industry, Detroit had no one to pick up the slack of the declining auto industry which consumed the city. There was a detrimental lack of re-education in the community, which meant the city ultimately lacked the resources to entice new industries. There are several reliable predictors of urban growth that Glaeser emphasizes, including education and the presence of a poor population. Education is important because the productivity of a city is dependent on the level of edUcation of the population living within the city. Glaeser also points to a city’s poor population as an indicator of the city’s success. Great cities attract poor people, and therefore have a more prevalent poor population than those cities which lack public services and amenities that poor people want and need, and are unable to obtain in rural slums. One distraction I find in his text is Glaeser’s insistence that the level of education and presence of a poor population are two important indicators of a city’s success, yet he also seems to think they provide the greatest obstacles. He describes the U.S. education system as providing too little learning to too many children. He also describes the overwhelming cost of maintaining public services for cities when the poor populations are largely unable to contribute to such cost. For both of the reasons described above, the wealthier populations move out into the suburbs, where private or charter schools employ better teachers, and money put toward public infrastructure benefits those supporting the cost. It seems to me, the very indicators that Glaeser lists as the most reliable predictors of a city’s success are also the very conditions that then push the money outside of the city, which only furthers a city’s decline. A city is not necessarily the best structure for everyone at every time. While high-density living is a good structure for encouraging new ideas and innovation, there is also something to be said for the importance of fostering stronger, almost family-like relationships within a smaller community. Strong urban neighborhoods can sometimes create their own familial relationships, but that assumes the members of those communities reach out to each other in person. Some of the same problems people face with the ability of modern technology – mostly, the ability to go through an entire day without actually having to deal with anyone face to face – are the same struggles that people face in the big city. People can be anonymous, they can avoid confrontation, and they can be ignored simply because of the sheer mass of people surrounding them. In a large city, a person can become just a number, whereas in smaller communities, everyone has a name. Overall, Glaeser’s focus on investment in human capital and strengthening urban cities is very important for halting urban decline, however, there are other factors to consider when determining what the best structure is for society. The city certainly promotes productivity, provides a centralized location for innovation and communication, and has many environmental benefits. Additionally, there are a number of reasons why a city may not be ideal, including a decreased sense of safety, rising costs to support declining public infrastructure, and the potential lack of the sense of community. However, regardless of the structure, the need for education and entrepreneurship is essential for the continued growth and productivity of any local community. Whether in a city or a rural village, investment in human capital will help society as a whole become better education, more productive, and help individuals receiving the benefit of those investments feel more responsible and accountable to their local community. 258; He acknowledges that cities cannot and should not have to bear the burden or cost of urban poverty alone. Urban poverty and rising costs of maintaining urban public infrastructure certainly contributes to urban flight, but those remaining in the urban core should not then have to pick up the slack just because others decided they did not want to pay for or deal with urban challenges anymore. To me, this is why we need economic development tools to encourage activity and investment in the urban parts of the city. As Glaeser later mentions on p. 268 of his book, those who want to live in the suburbs should be able to do so, but not without understanding the true costs of expanding into the suburbs, and helping to pay for those costs. While I do believe an urban city is an important structure to maintain in our society, my biggest concern with the way cities work today is that they are also the biggest contributors to the suburban movement. I think suburbs as a structure are generally very taxing on society as a whole. They are great places for families to have a safe place for their children, but cause excessive strain by families living in huge houses, driving huge cars, and generally undervaluing the limited resources available. For cities to truly shine, I think suburbs need to be better controlled, and that is a problem I do not know how to solve. This entry was posted in Environment, Reviews, Tips and Words of Wisdom, Sustainability and tagged City, Education and Innovation, Edward Glaeser, Human Capital, poverty, Society, Triumph of the City. Bookmark the permalink. Great to hear from you. Meg wrote the article. Somehow you were caught in “spam” heaven so we didn’t see that you had commented. 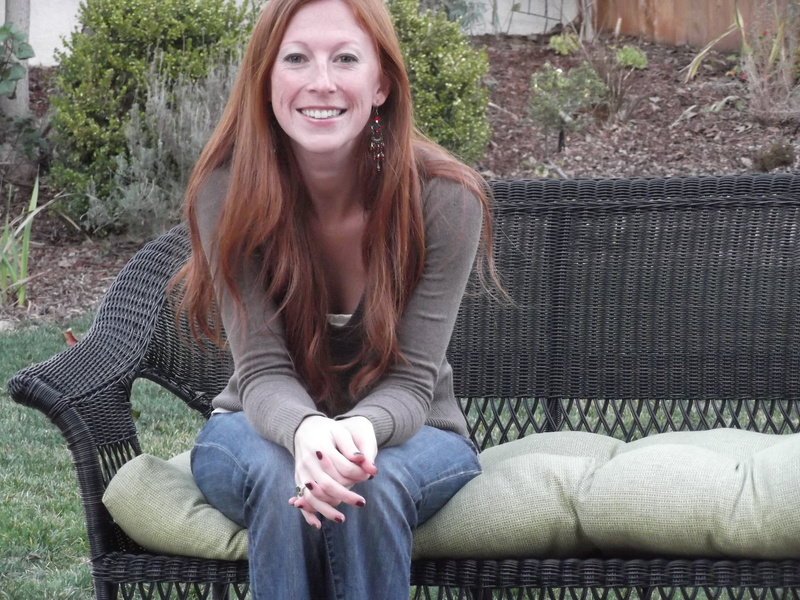 Since I am Meg’s biggest fan, I am always happy when people like her work. And, of course, I think the book and the subject are fascinating and thought-provoking. Best to you!